So what is Barefoot Christianity? 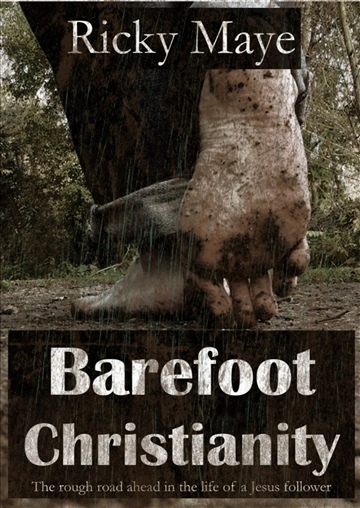 Barefoot Christianity is a movement, and most of us want to be a part of a movement. We may want to change the world, start revolutions and make an impact. But what if the way to do it wasn't through that kind of movement? What if it was through a simpler kind of movement...? What if to change the world, I didn't have to swim across the Atlantic, bike down the east coast or climb a mountain? Join the discussion as Ricky takes us through a journey into the heart of what it means to be a Jesus follower. Ricky dives into areas as evangelism, discipleship and personal struggles. Using the word studies we've come to expect Ricky Maye will usher in comfort, conviction and ignition to spark your spiritual journey. that God's dream for your life is only one step away." "I like this book a lot-- solid heartfelt words from a man who's apparently seen enough talk and judgement from the Christian community." "Ricky truly understands what is going on in the church today & growing up a bit different he can understand the rejection we all feel."